This morning, there was a big blue sky over Paris and I felt like going away. 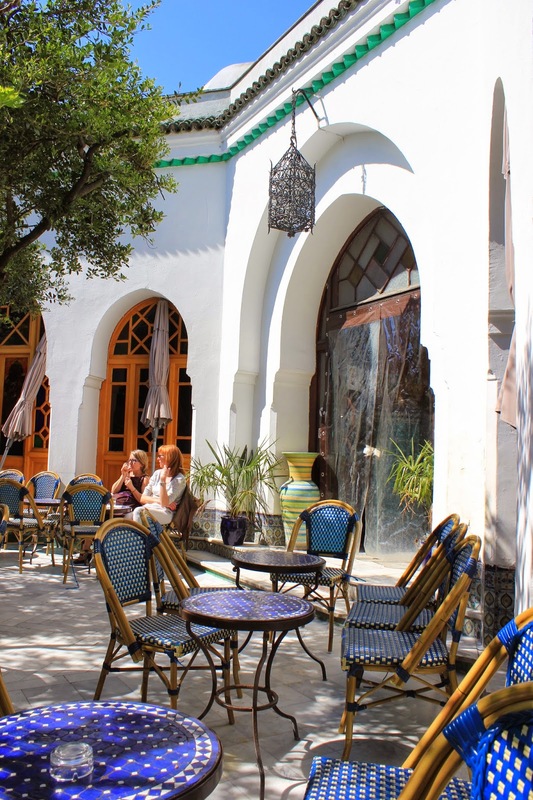 I decided to head off to "Grande Mosquée de Paris" (buit in the 1920's) and it's lovely terrace to sip a mint tea in the sun. It was really nice and I did felt just as if I had flown down to Sevilla. Together with the mint tea (2€), you can ask for syrupy North African pastries (2€ each). It's yummy, yummy. If you go on a Sunday, I woud advise to go in the morning, because later on, it gets crowded.